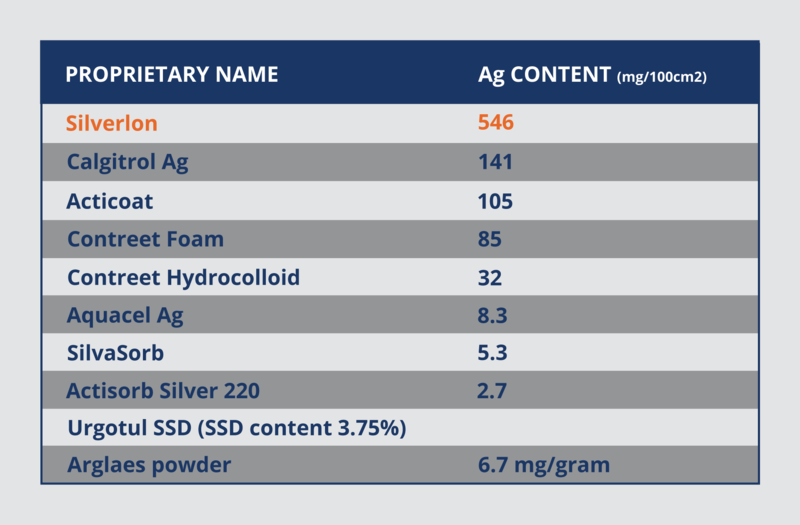 In the world of antimicrobial silver dressings, Silverlon shines. More metallic silver than any other dressing. Silverlon is the advanced antimicrobial dressing of choice supported by robust evidence to help healthcare professionals protect patients and deliver the highest level of care. 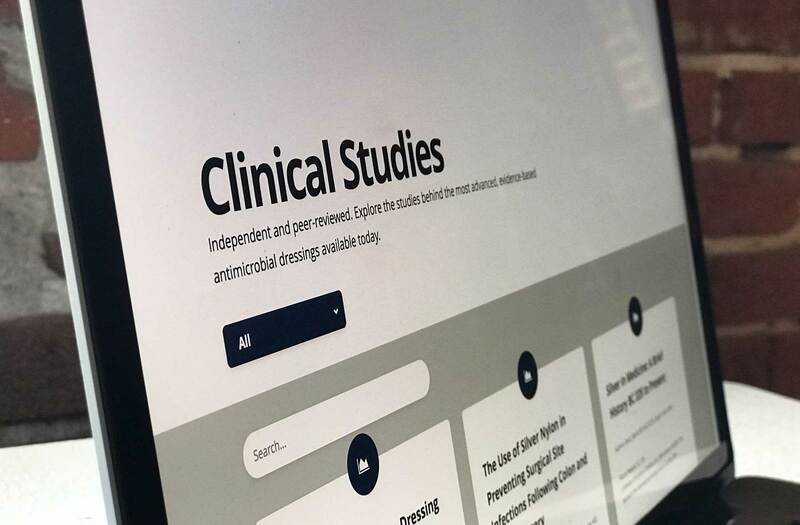 With Silverlon, you’ll find a wide range of independent, peer-reviewed, published clinical studies across multiple specialties. 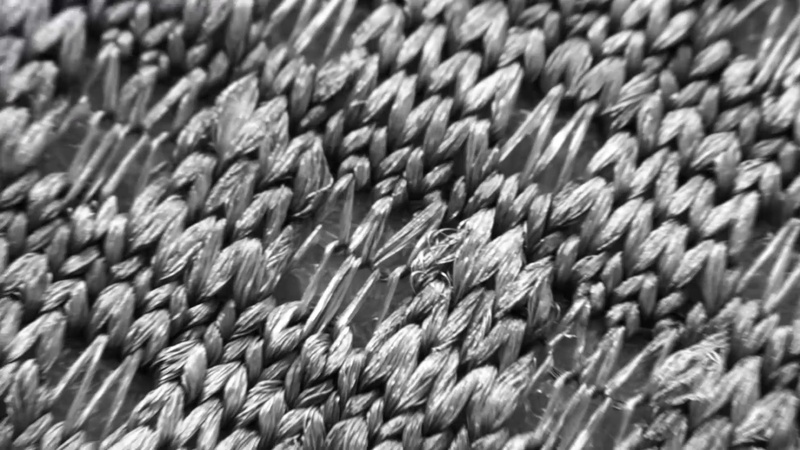 Silverlon wound dressings contain more metallic silver than any other dressing. 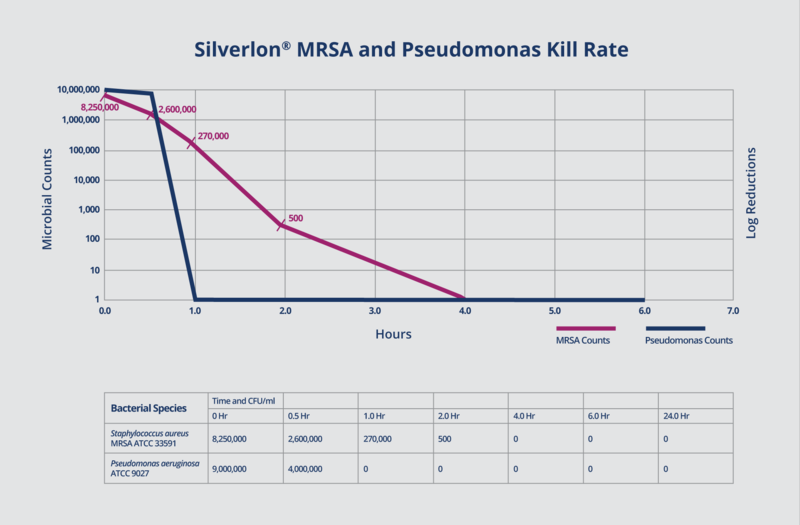 Silverlon produces a broad spectrum antimicrobial effect that rapidly kills microorganisms, eradicating MRSA in as little as 4 hours and keeps working for up to 7 days.